With the summer being here, and the kids having all of that extra time on their hands, well, some of us may become victims to those pranks that kids love to pull. One in particular that has been a favorite among kids for years is the ding dong ditch. Sure for a kid it can be a lot of fun, but for those of us who are in the house, well not so much fun. Especially when the prank is pulled on a elderly or disabled person. Recently I was sent a great product that is perfect for anyone. I was sent the VTech Doorbell Phone for review. 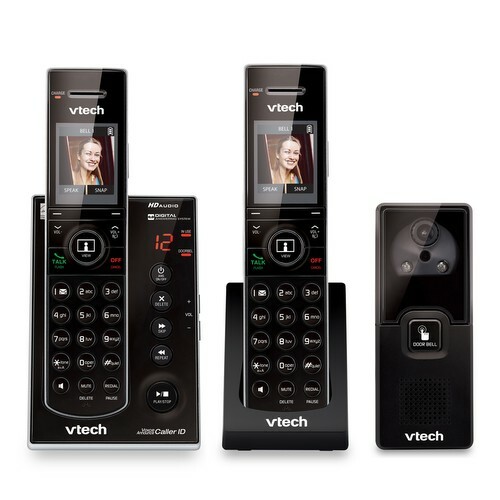 For me, with packages coming daily, it is nice to have the VTech Doorbell Phone, so when there is someone at my door, I can know who is there. For me it is kinda like having X-Ray Vision for my front door, which is something that a lot of people might enjoy having! 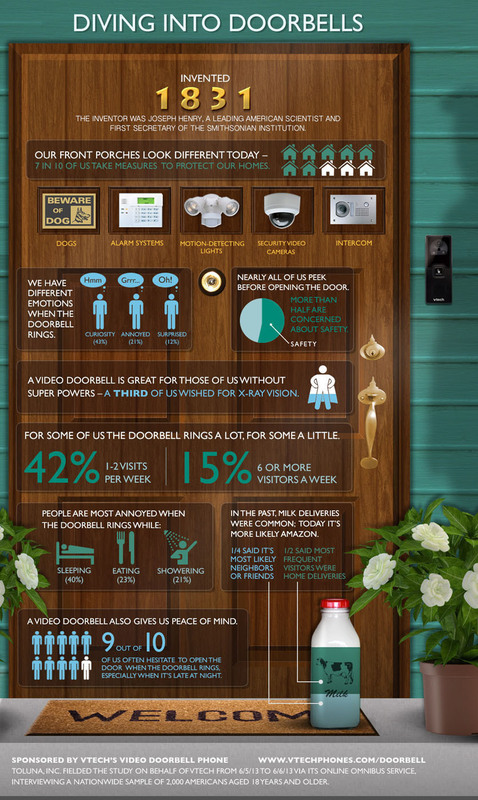 The digital camera allows you to screen visitors before answering the door, without the worry of being seen. View clear images of visitors—even after dark—with automatic night vision. Each handset features a 1.8-inch, full color LCD screen so you can stream video or view photos from anywhere in your home. Always know who's calling, even when you're in the other room. All handsets announce the names of your callers through the speakerphones. No more shouting through the house—this system doubles as a multiple-handset walkie-talkie to instantly communicate with any or all of the handsets in your home. Communicate with callers—and visitors—while enjoying high-quality sound. A built-in equalizer allows you to select the profile best suited for your needs. Originally published on 2013-08-05 by Katie at Mommy Katie .